Experience the ultimate luxury of owning a condo completely renovated and decorated not only for today's exciting concepts in design, but for the timeless coastal d'cor guests visiting beach resorts worldwide have come to expect when booking their reservations. Renovated and updated in 2017 to include: wood look ceramic flooring, baths updated to include elegant, custom tile work with spacious jet tub and huge shower in master bath. The exquisite coastal furnishings are elegant as well as durable for the comfort of guests. Spacious balconies feature cheerfully seating areas with room for families to enjoy spectacular gulf views. All appliances have been updated including washer & dryer. Laundry room was renovated so that owners have TWO owners closets. As expected, unit has excellent rental numbers. The resort also includes world class ammenities with multipule pools, sauna & fitness facilities. 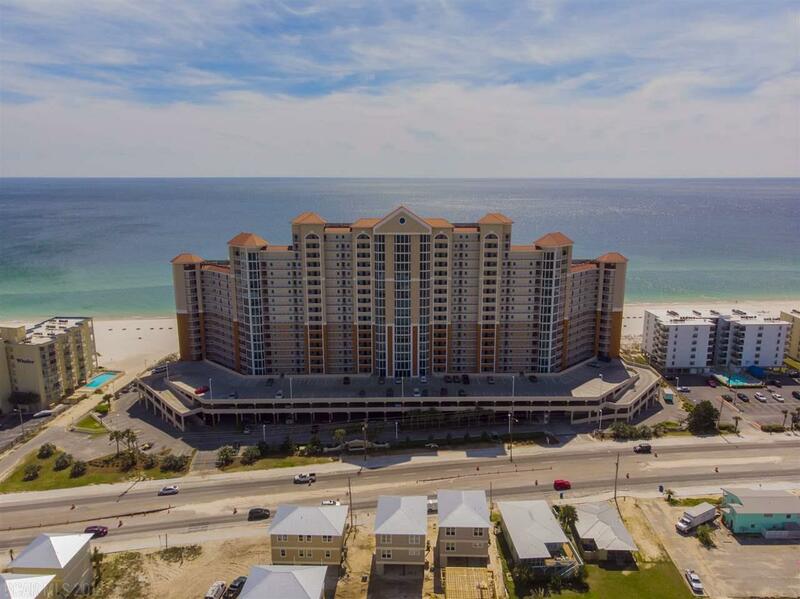 Short walk to all the seasonal festivites Gulf Shores offers. Listing provided courtesy of Kaiser Sotheby's International Realty - Orange Beach. Listing information © 2019 Baldwin County Association of REALTORS® MLS.